As far as MPVs go, they are objects of pure functionality, not beauty. And one of the most well known MPVs that completely embodied those virtues of practicality was the Renault Espace. Often and probably dubiously touted as the first MPV ever, Renault's Espace, I would say, was the first to flame customer interest in MPVs. From a dull start in 1984, it went on to become a bestseller, establishing an identity and popularity for practical no-nonsense multi purpose vehicles. But it looked like something a grade 3 student would have sketched during maths period. So it was at the very least the first brick, on wheels! 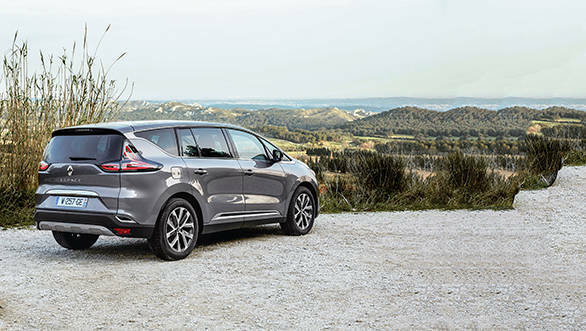 But take a look at it now, the fifth generation Espace based on Renault's new CMF (Common Module Family) platform was first unveiled at the Paris Motor Show in 2014. In what can only be called creative genius, the Espace is to the MPV segment what the little black dress is to any woman, a must have. And the man responsible for this expression is Christophe Dupont, executive MD of Renault Design Asia. Christophe isn't a very well known man but what he does know very well, is a thing or two about style and the aura it needs to spread. The Espace reveals several new dimensions to the world of MPVs - elegance, beauty, richness, and strength - dimensions that were once totally alien to the segment. Its as attractive as a Rs 100 note on the floor, unwittingly you pick it up and pocket it. Likewise you simply glance at the Espace and are drawn to its cabin, simply to understand if Renault is capable of extending the beauty of its exteriors to its interiors. And it's not disappointing, the good looks of the exteriors are carried over inside the Espace in the same tenor - elegant, strong, rich and with lots of character. It's also a simple cabin with an uncluttered dashboard dominated by a large centre console that instantly reminds you of what Volvo is doing to their cabins. 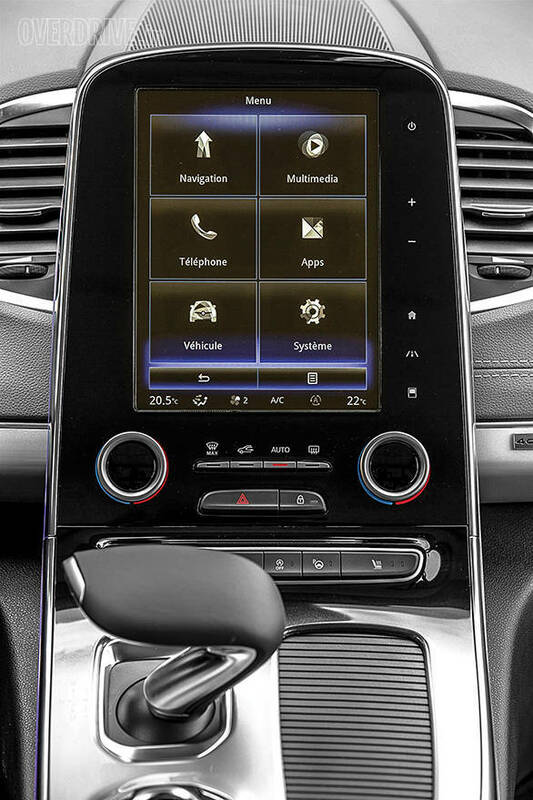 Pride of place goes to the large multi function touchscreen embedded flawlessly in that console. An elegantly sculpted gear shifter gets second glance after which your eye continues to linger over the steering wheel, the LCD panelled instrument console behind it and the thickly padded seats covered in Nappa leather. It's a marvellously functional cabin too. Things in here don't just look good, they behave as properly as a graduate of a top flight finishing school. Features that allow you to fold down any desired seat within the cabin by using a function on the touchscreen or the 12-speaker Bose surround system or the Multi-Sense system - all of these elevate the luxury experience to a new plane. 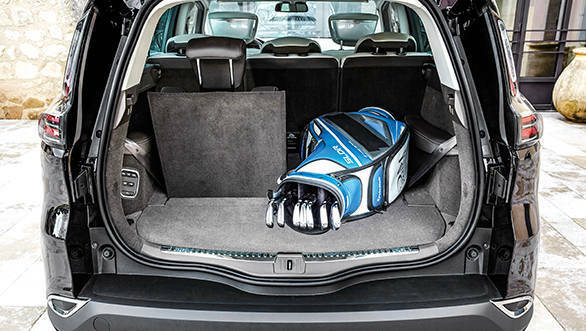 Whoever said MPVs were dull, boring things? 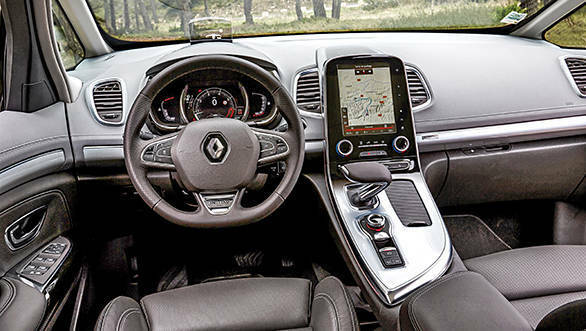 It would take a keen eye, however, to break the attraction of that interior and realise that Renault does still needs to work on the material quality. It's all leather and chrome but the plastic bits do look and feel, plastic. The variant I drove was the top of the range Initiale Paris trim. Handsome appointments, inside and outside, mark it out instantly as the most premium of the Espace family and it costs a hefty premium over the rest too. But it does come with seriously impressive kit, not to mention the exclusive services. This includes a dedicated call centre or concierge service, a reserved area in Renault showrooms and extra services, all intended to pamper. The options, however, aren't going to drive sales figures - those would come from the actual on road experience. The Espace in my hands came with a 1.6-litre diesel that's good for a 162PS with 380Nm of max torque. The power output feels a bit low and while delivery is linear it's not urgent or punchy. This is despite a 250kg reduction in overall weight over the previous generation Espace that comes from using lighter materials like aluminium, Noryl plastics and thermoplastics in various areas. Nicely enough, this particular engine comes with a twin turbo system, one for low revs and the second for high revs and to further support the linearity, it's mated to a twin clutch 6-speed automatic that shifts-by-wire. What you therefore get is that floating console inside the cabin but more importantly a refined drivetrain that will not rush you to your destination, but take you there comfortably. Other engine options are a 1.6-litre diesel that is detuned to churn out 132PS with 320Nm of torque mated to a 6-speed manual transmission. There is also a naturally aspirated petrol included in the lineup which makes a sweet 203PS with 260Nm of torque. The flagship 1.6-litre 162PS drivetrain is mated to Renault's four-wheel steer system called 4Control. It adds a little more confidence to the entire driving experience by providing better high speed precision in highway conditions or a higher degree of manoeuvrability in urban areas. Where dynamic control is concerned, however, you just don't hustle this vehicle around like you would attempt with most others. Despite the wide footprint and a remarkably firm chassis and suspension setup, there is a fair bit of body roll that can get a bit unsettling in corners. I drove the car at one of Renault's test circuits near Paris and while it felt confident, it wasn't entirely enjoyable. 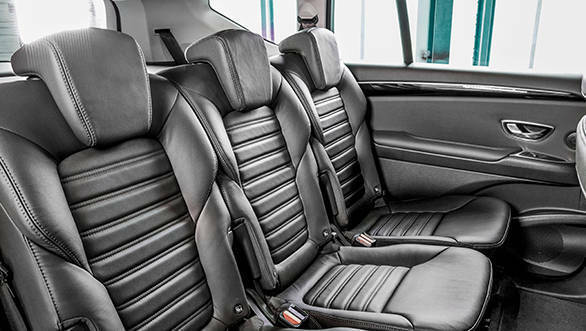 Overall this is a sublime MPV, one that stands out for its design, style, comfort and convenience above all else. Yes, there may be better MPVs in the market and most of them with better dynamics and engine performance. That is, however, not the end of the market Renault is targeting. At nearly Rs 24 lakh in France (34,000 plus or $40,000 plus), this is a steeply priced MPV and one that is definitely not going to sail to our shores anytime soon. 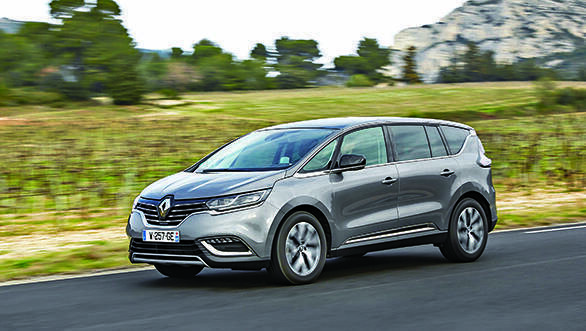 That and the fact that Renault has no immediate plans to make right hand drive versions of the Espace means we won't be getting one anytime soon. Pity!